Kansas guard Lagerald Vick (24) gives a celebratory shove to Kansas guard Devon Dotson (11) after Dotson's rejection of a TCU shot with seconds remaining in the game, Wednesday, Jan. 9, 2019 at Allen Fieldhouse. At left is TCU head coach Jamie Dixon. Before Wednesday night’s 77-68 victory over No. 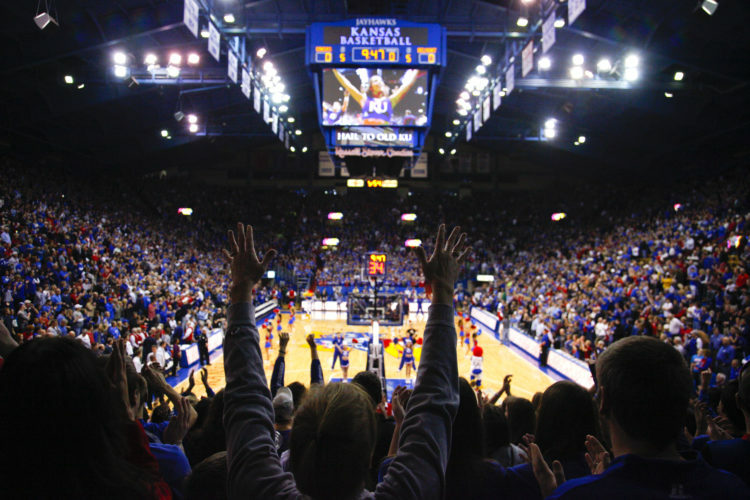 25 TCU at Allen Fieldhouse, the last time the 7th-ranked Kansas men’s basketball team was on the floor for Big 12 play, an obvious lack of leadership led to a meltdown at Iowa State and the Jayhawks walked away on the wrong end of a 17-point beating after coughing up 24 turnovers. 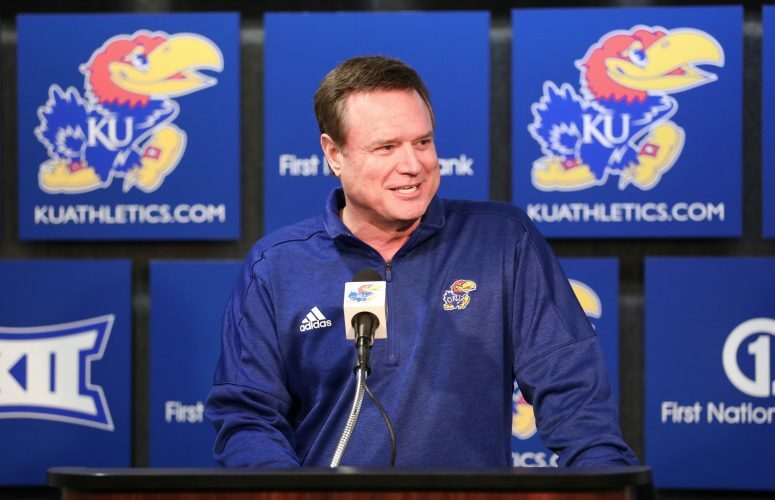 Needless to say, leadership — among several other things — was a focal point of the past few days at KU practices, with Kansas coach Bill Self looking to one of the most obvious places to try to find it. Dotson doing more could mean a number of things. And some of them were on display during Wednesday’s game. Most, at least for now, figure to come behind the scenes. 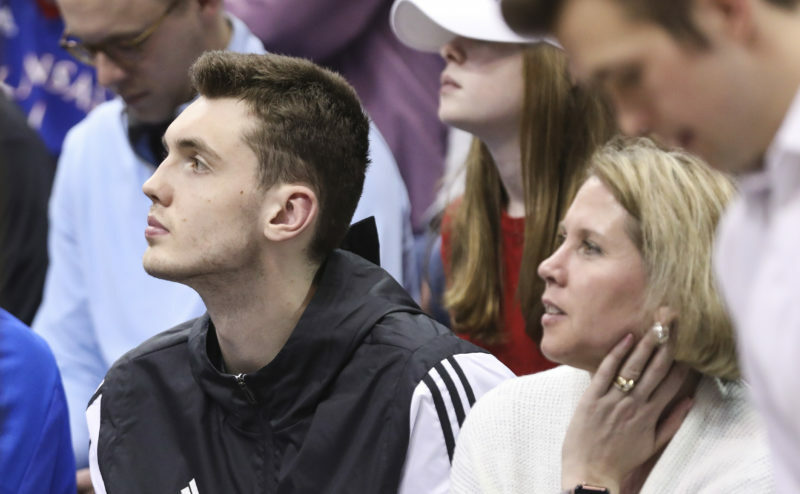 And while the freshman point guard continues to navigate his way through his first season of college basketball, he’s hoping his past experiences can help him get more comfortable in a leading role at Kansas. 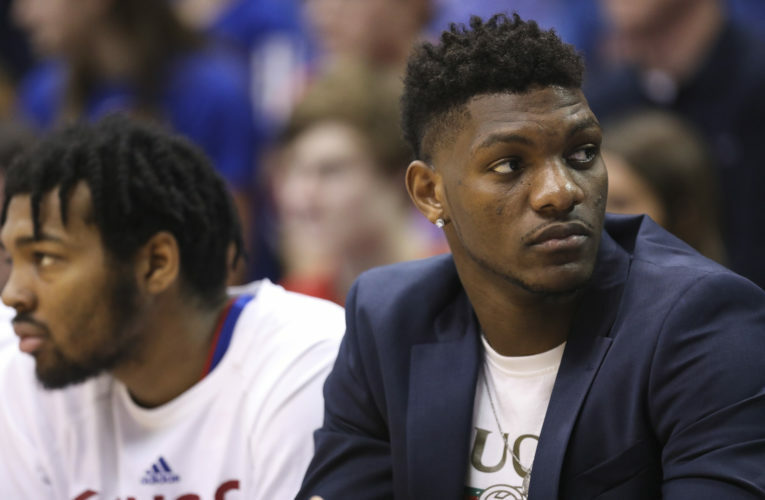 While his offensive numbers and defensive ability will remain an important part of this Kansas basketball season, Dotson’s stats are not directly tied to his ability to lead. 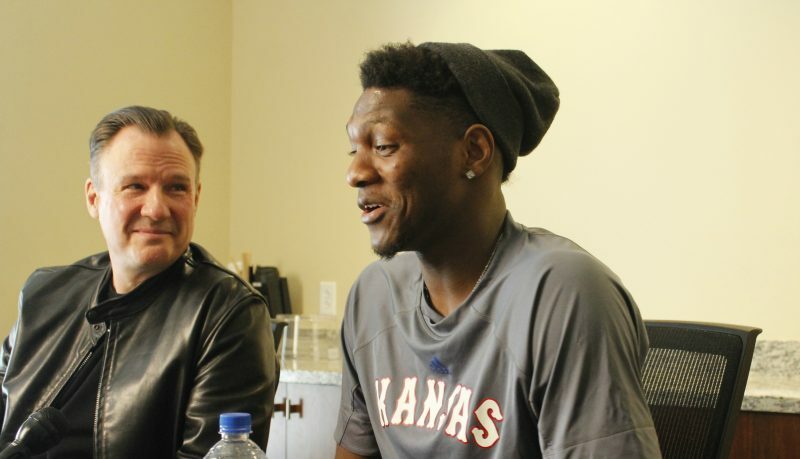 As for Self’s take on whether asking his young point guard to be more of a leader is asking too much, the KU coach spoke with confidence about Dotson’s ability to do it. Oft-injured guard Jaylen Fisher, a junior from Memphis who has deep connections with Kansas guard Lagerald Vick, did not play Wednesday night because of a knee injury. Fisher missed last week’s Big 12 opener against Baylor because of swelling in his right knee and continued to deal with the issue this week. After tearing his right meniscus last season, which cut his sophomore season short, Fisher now has missed six games this season because of lingering issues in the knee. 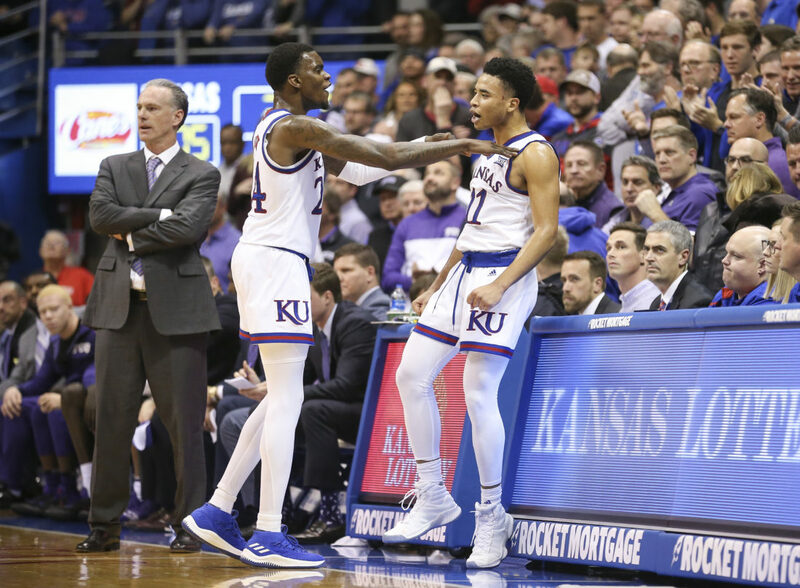 KU’s Wednesday victory improved KU’s edge in the all-time series with TCU to 17-2, which includes wins in 13 of the past 14 meetings and three in a row. Kansas is now 8-0 against the Horned Frogs at Allen Fieldhouse. All but four of the KU-TCU meetings have come with the two programs competing in the Big 12, and Kansas now holds a 13-2 edge in conference games. 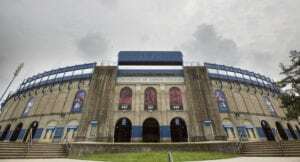 Prior to that, TCU dropped four games to Kansas in nonconference matchups, with the first coming in the NCAA Midwest Regional in Kansas City, Mo., in 1952, and three others coming in 1997, 2003 and 2004 in Kansas City, Mo., Fort Worth, Texas and Lawrence. TCU coach Jamie Dixon, now in his third season at his alma mater, is now 1-5 vs. Self’s Jayhawks in Big 12 play and Self is now 21-6 all-time against TCU. Wednesday’s win improved KU to 13-2 and 2-1 in Big 12 play for the second year in a row … The Jayhawks now have won 13 in a row at Allen Fieldhouse, dating back to the end of the 2017-18 season, and are 9-0 at home this season. That pushes Self’s all-time home record at Kansas to 243-13 and makes KU 781-113 all-time in the historic venue. Self is now 667-203 overall in his career, including a 460-98 mark at Kansas.